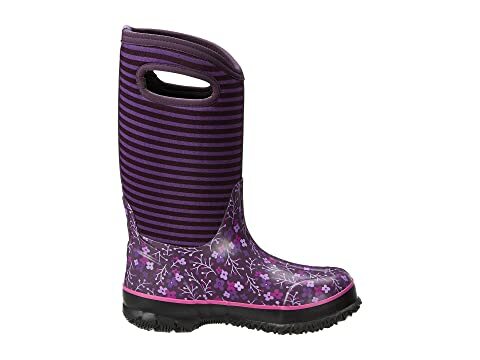 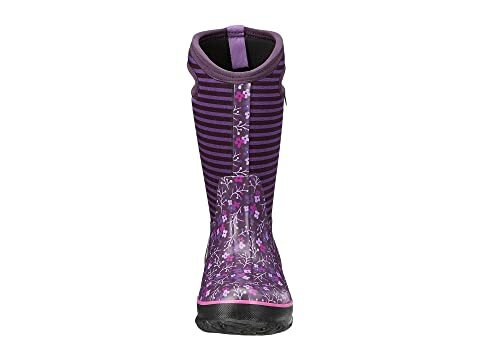 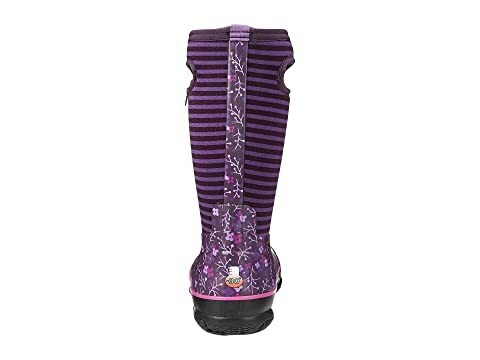 Snow, sleet or rain, the Classic Flower Stripe winter boot from Bogs® Kids is sure to keep their feet dry! 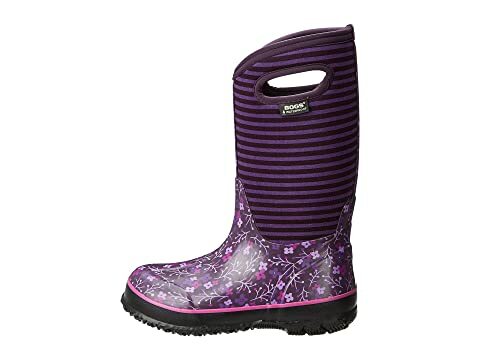 Please be advised that a white wax film may appear on the surface of the rubber boots and the brand states that it can be wiped off with a damp cloth. 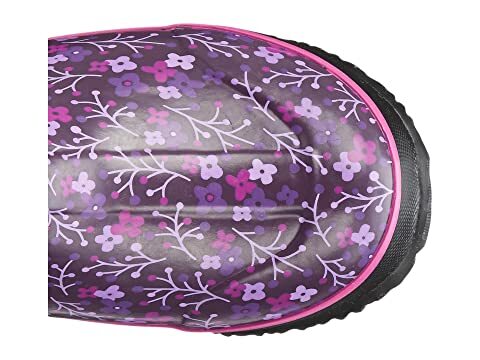 This "blooming" effect is not a defect. 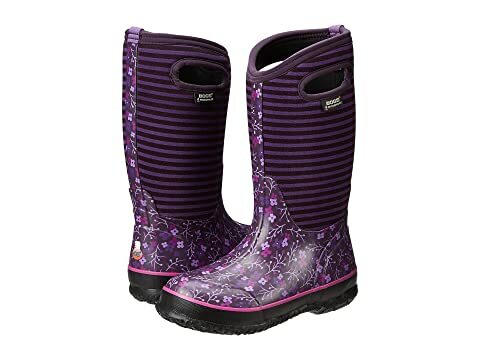 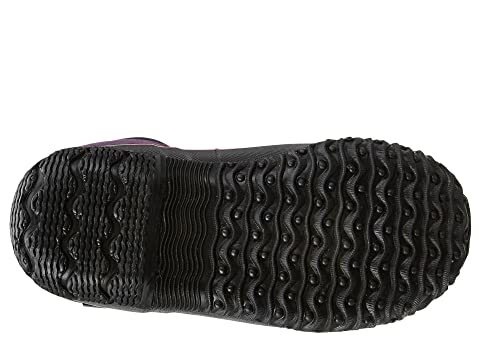 Blooming is caused when the boots are exposed to extreme temperatures or temperature swings and the wax helps prevent the rubber from weathering.